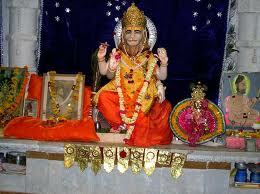 Narsingh Jayanti is Celebrated on May 23 2013. 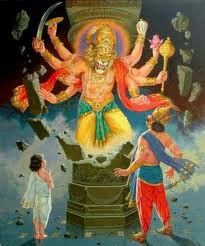 Narsingh Chaturdashi or Narshimha Chaturdashi is mainly observed to celebrate victory of good over evil. 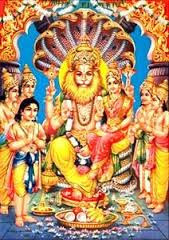 It is believed that on this very great day, Lord Narasimha appeared for rescue of Dharma and Bhakti personified in Prahlada Maharaja. 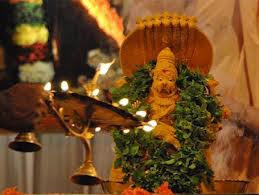 Generally this day is celebrated with fasting and worshiping the lord with the abhisheka and archana at dusk. 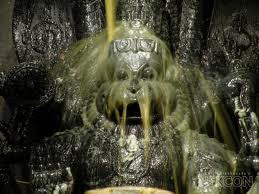 Rituals are followed by sankeertana and hari naam parayana. 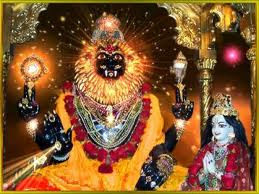 Tadavas, a village in Jaipur district which is popular for Narshimha Mandir observe special celebrations on the day of Narsingh Chaturdashi. Narsingh Leela is organised in this village annually in the month of Vaishakha on Narsingh Chaturdashi (in April-May). 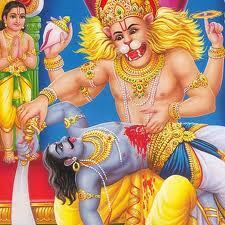 Thousands of people gather from nearby villages to enjoy Narsingh Leela. 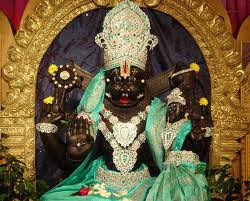 Narsingh Avtar and Varah Avtar are main attractions of the Leela.